Listening to Mt. 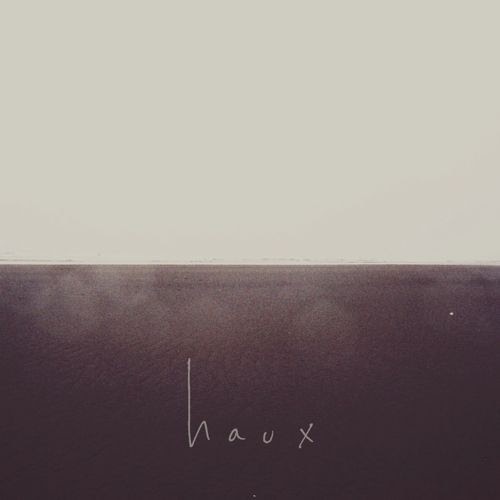 Wolf's latest track led me onto newnewnew band haux, with a grand total of 22 Facebook likes at the time of writing. As it happens, we picked up on Mt Wolf similarly early, so the parallels aren't simply in their shared atmospheric folk sounds. Quietly emerging at the end of last year, the New York-based trio also evoke the likes of Daughter and early Bon Iver, as displayed by the tracks below. While they may be camera shy, Woodson Black, Emily Brouwer, and Mike Wagz instead bare themselves through the lyrics and music of haux. 'Toulouse' from debut EP 'The Bluest Sage' is especially tender and haunting, while fellow EP track 'The River Song' courses melodically with heartfelt melancholy. Latest track 'Homegrown' offers a slightly beefier sound, perhaps a welcome sign of the band's growing confidence. Purchase haux tracks at haux.bandcamp.com.